1. Writing Skills Writing can be a very rewarding job. But if the sound of working in a magazine or publishing company does not work for you, then you can try freelance article writing. There are lots of online jobs that requires good writing skill. 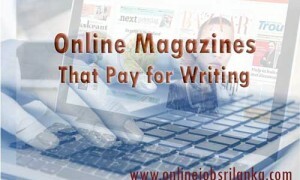 One good example of article freelance website is The Content Authority. 2. Naming You can do a lot of things with your creativity since you tend to be imaginative and one of it is through naming domains. You are armed with analytic skills to come up with a great idea. You can earn here by thinking of good domain names for the client. PickyDomains will let you earn as much as you like as long as the client’s love your suggestions. It is a risk-free naming service that accepts creative and dedicated contributors. 3. 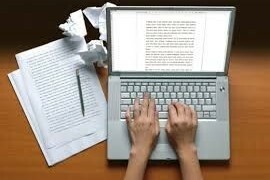 Blogging If you are not fond of writing about technical or too serious stuff, you can still make use of your writing skills with a lighter tone. Blogging is a form of writing which can be done in a personal tone. You can create a blog which suits your personality and start earning from your blog through sponsored posts or text link advertising. The two most popular blogging platform are WordPress and Blogger. Once you have your own domain and a blog which is 3 months old with updated post, you can sign up with PayU2Blog. The minimum post offer here is $5 and payment is issued every other Friday. 4. 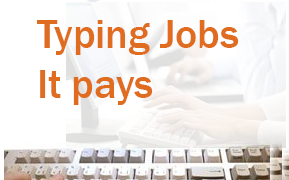 Researching If you are good with research, you may do well in data entry jobs. Since doing research may include a lot of things, you can also learn from what you are doing. Some research may involve looking for contact details, foreclosed properties, answers to homework and the like. 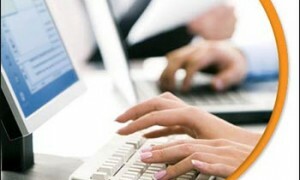 You can sign up at Odesk for a wide range of data entry jobs. 5. Marketing Sales and marketing opportunities are also available online. Affiliate marketing is so popular these days and if you have a big network, you can really earn from it. Since this is more on promoting the products and services, you can leverage on your marketing skills to sell and earn more. One good affiliate marketing site is ClickBank. 6. Transcribing If you have good listening and typing skills, you may earn a lot from QuickTate. As a transcriber, your role will be to convert audio notes, medical reports, conference calls, legal files, voice messages and more files into text. The current language supported here are English and Spanish. 7. Solving Math Problems All of us are born with unique talents. If you are an expert in any field such as Math or Science, then you can be an online tutor. You can teach students online or help them from their homework to earn. If you are an expert in Calculus, you can create an account with PainFree Homework. and start earning These are just some of the few skills that you can hone and utilize to earn money from the Internet without taking out cash from your pocket. As long as you are firm with your decision and has the skills to do the job, then you are guaranteed to be successful. 3 Responses to "7 Sites Where You Can Cash Your Skills In"
The article is mixup please make it specific and also mention the resources where to search these jobs. 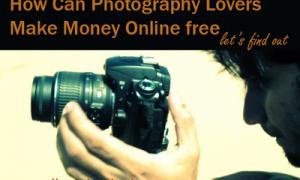 this will help lot of jobless to gain income from the web. Great list of earning sites you have here! 🙂 Thanks for sharing.